This quilt is for my granddaughter, Gracie and she can't wait to get it home! I have to choose borders and then quilt it...so she has a little while to wait! 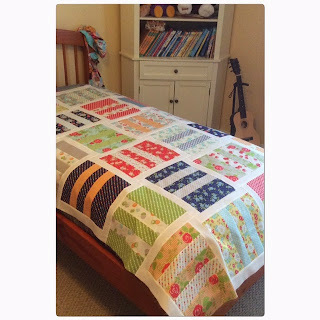 I used Bonnie & Camille's Happy-Go-Lucky fabric line and the pattern is by Camille Roskelley.